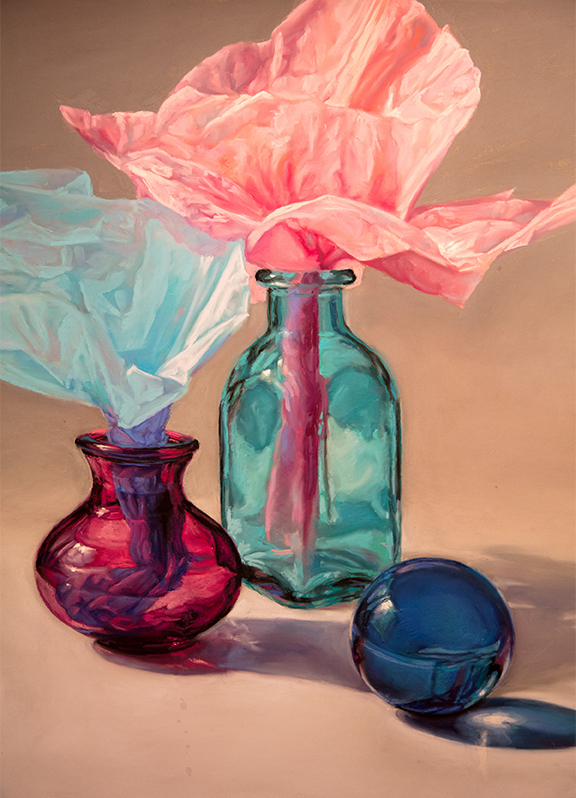 Lisa Ober creates pieces to treasure with oils and pastels. 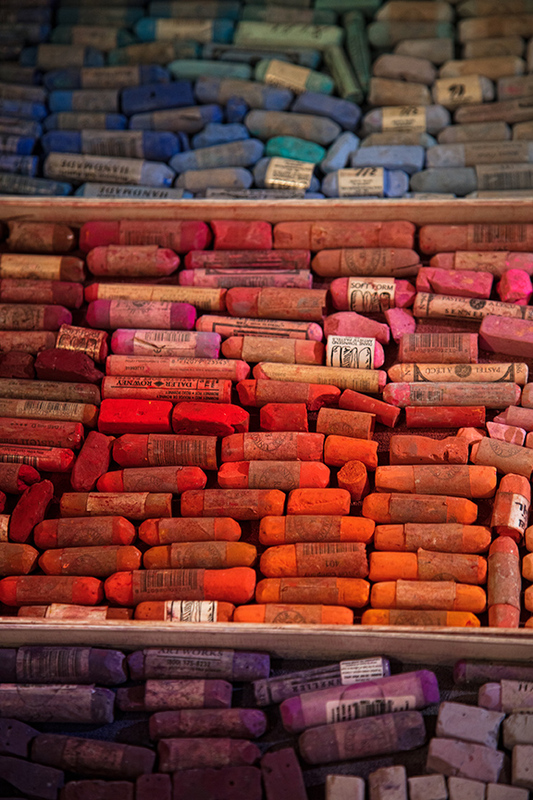 “I color for a living,” says Lisa Ober, with a twinkle and a smile. 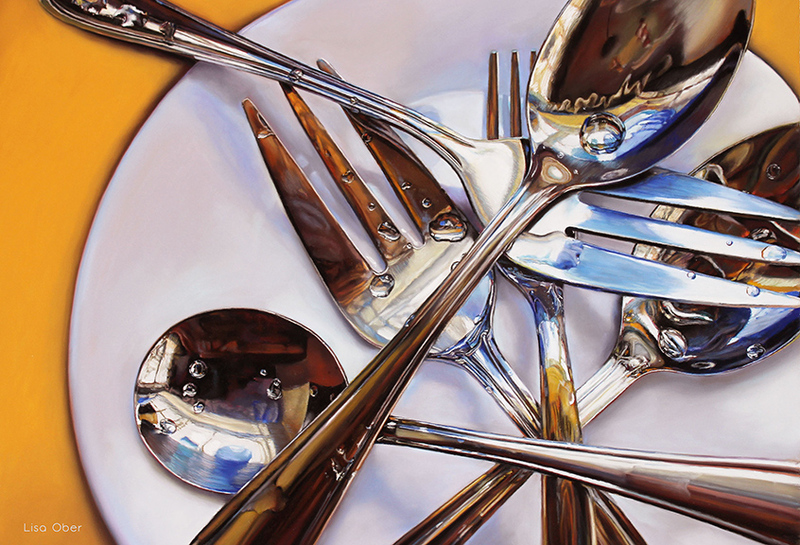 Given her vast portfolio of portraits and still life compositions, it’s a charming understatement. “There’s a joy we all felt as children when we colored, and I can’t believe I get to feel it every day,” Ober effuses. Ober has painted her entire life, beginning as a child in her grandmother’s art studio. Portrait painting earned her extra money when she was in college at Washington University in St. Louis. And, aside from a misspent year working for a home improvement company, Ober has continued to support herself as a painter and painting workshop instructor. Ober enjoys international exposure, but is best known in St. Louis for her commissioned portraits. Her subjects vary from children to executives to cherished pets. “Everyone should have good original art, and that art should be of something that you love,” Ober explains. 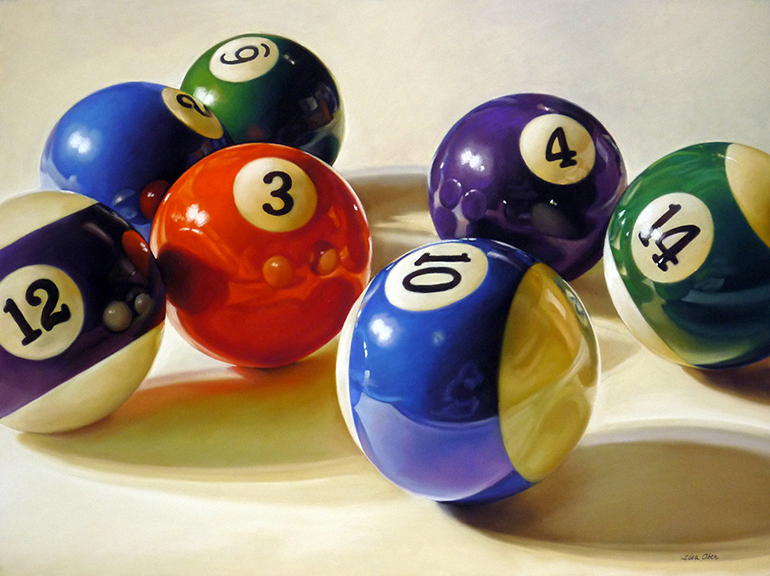 She paints in both oil and pastel, creating works of fine art that are as realistic as photographs. When a work is commissioned, Ober snaps photos of her subject and shares the most flattering ones with her client for their approval. Then she paints at night, often until five in the morning. It’s a habit she began years ago, when she worked while her two young children slept. A portrait takes several months to complete. “I save the eyes for last. When the eyes show the person’s inner light, I know I’m finished with the portrait,” she says. Staring at someone’s features for weeks at a time is an intimate process. “I get attached. I feel like I know people after I’ve painted them,” Ober says. Ober teaches painting in workshops all over the United States, covering techniques in her preferred mediums. She is careful to also include instruction on the business end of being creative, including the importance of a having a navigable portfolio website, and everything from understanding tax implications to the importance of keeping good records. “I do it because I wish young people knew a little more about the work of being a working artist. They come out of school and have not a clue of how to run a small business,” she explains. Ober is accredited by two professional organizations. 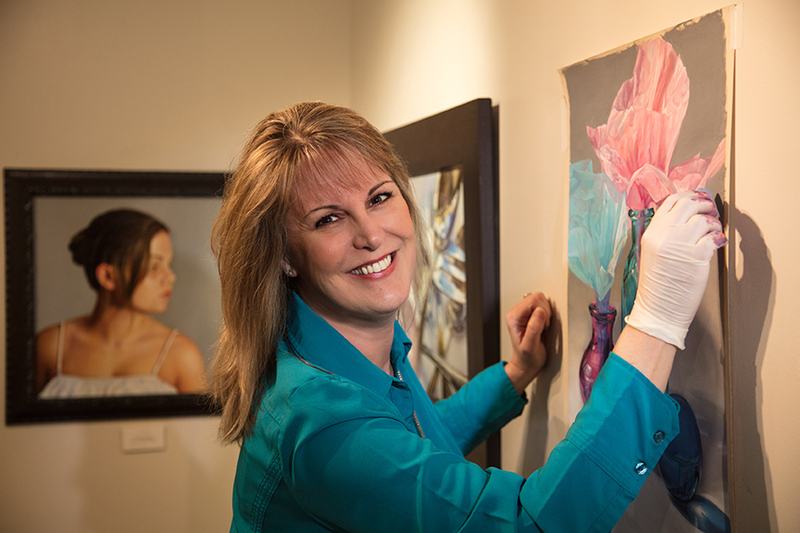 She is a signature member of the Pastel Society of America, and is a master circle member of the International Association of Pastel Societies. Prices and samples of Ober’s work are available on her website, lisaober.com. Her art is on display at the OA Gallery in Kirkwood, which Ober co-owns with three partners.